Woman, you aren't watching anymore movies with me! You haven't asked me to watch any movies with you, man! Anyway, I told Raul I could do one with him tomorrow, but I have no idea what he wants to watch. If you want to risk the chance of a database error, we can do one tonight. YES. I want to do one. Right now. I dunno what, though. Well that's not very helpful. How about AN AMERICAN HIPPIE IN ISRAEL? "Yes, citizen, there is no cause for alarm -- you may return to your harpsichord." Hmm. Have you seen Bruno? The Sasha Baron Cohen movie where he plays a flamboyant gay guy. No. Haven't had any desire to, either. Or what about ARIZONA DREAM with Johnny Depp? 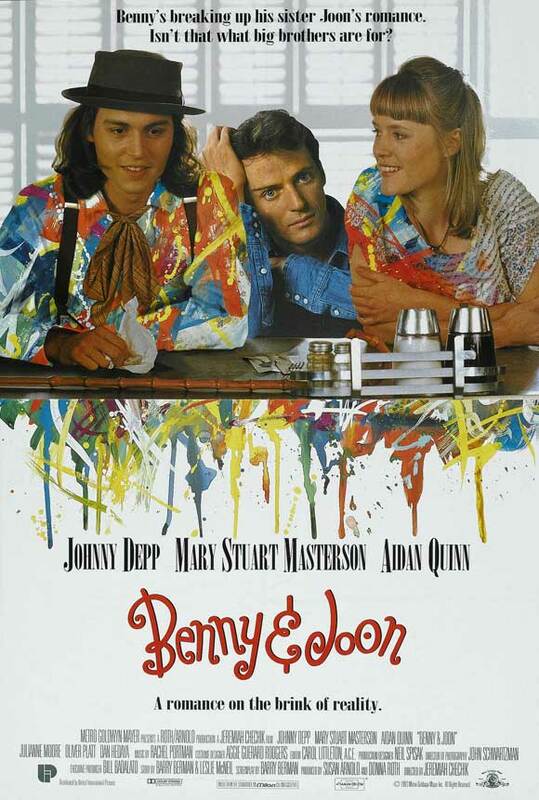 Benny & Joon, maybe. It's streaming. It seems like a Miss Vicky kind of movie. We can do Benny and Joon. I have it on DVD and haven't watched it in awhile. Alright, let's do that. I haven't really seen the whole thing. Give me a couple of minutes to set up. The movie is twenty years old this year. I am ready. Tell me when to press play.